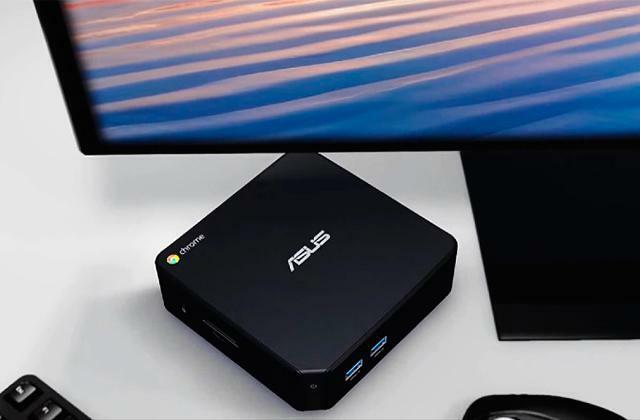 The On-Screen Control and Screen Split features will allow you to have a full control over the most essential monitor settings through a convenient solution that ensures quick and easy access. 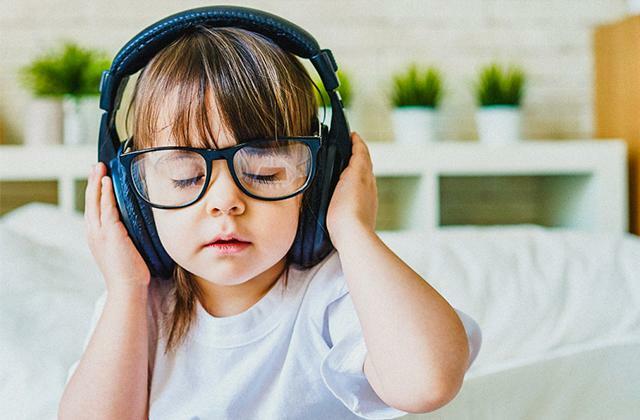 Whether you're looking to change the volume, increase or decrease the level of brightness, switch between different picture mode presets, or utilize an array of other options, this little piece of software will allow you to do that. 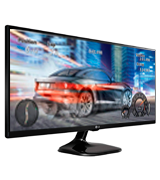 LG 34UC80 is one of the most versatile ultrawide monitors out there. 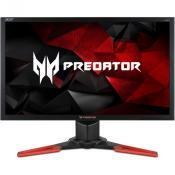 Whether you're looking for a model to improve the efficiency of your work, to enjoy a good movie, or to amplify your gaming experience, the product in question will not disappoint you, to say the least. The Picture-by-Picture (PBP) function displays input from two sources side-by-side at their native resolution. It allows you to resize the second source to up to 25% of the screen. After that, you can position that source anywhere you want, the screen is your oyster. Low Input Lag Mode is able to minimize the delay between mouse, keyboard, or joystick input and onscreen response. The HDMI protocol is a little outdated. Samsung SJ55W is perfect for work. 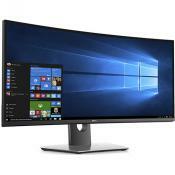 With this ultrawide monitor, software developers, business analytics, and so many people that work so many different professions will be able to increase their productivity and streamline workflow. That being said, this is by no means a bad model from an entertainment perspective either. 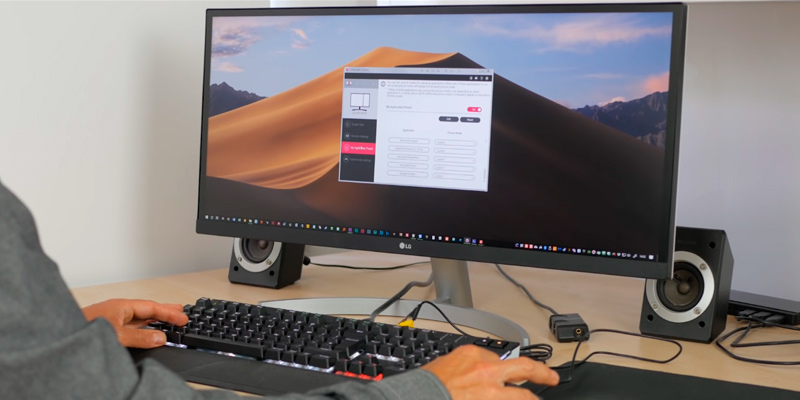 This is a FreeSync monitor, meaning that the AMD crowd will be able to experience seamless, fluid movement throughout high-res, fast-paced games. The Black Stabilizer feature reveals superior detail in darker scenes. The Dynamic Action Sync feature does an excellent job assuring smooth and fluid gaming action. The stand is relatively slim. 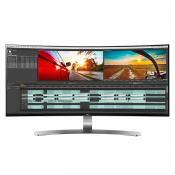 LG 29WK600-W is an ultrawide monitor with a budget price tag and mid-range features/performance. It will enable you to enjoy excellent, true-to-life colors. The model's ultra-thin bezel makes for a sleek, streamlined profile. Plus, the built-in 5W speakers are surprisingly good. With back-weighted springs and heavy-duty build, the screen won't move unless you want it to move. The anti-glare panel does a bang-up job reducing light reflection on the display without washing out the colors. The 144Hz refresh rate lets you experience various gameplay scenarios without pixel distortion, motion jitter, or image artifact. The monitor is a tad large and takes up quite a bit of space on the desk. Viotek GN35DR is a beast with excellent specs and great value. 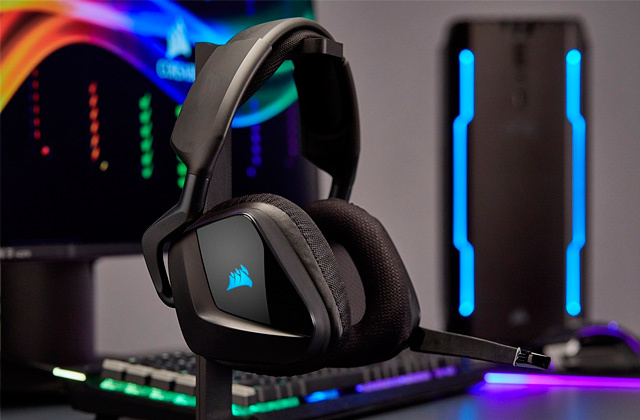 It will allow you to downright dominate your opponents online and/or enjoy your favorite games in a new, much better light. The model delivers the most intense visual experience and lets you immerse yourself in the gameplay without any distractions. Considering the model's 5ms response time, there won't be much of a delay between your GPU rendering images and your screen displaying them back to you. This is an IPS panel, meaning that the contrast will be high, the blacks will be great, the overall color reproduction will unlikely disappoint, and the viewing angles will be nothing to complain about. Doesn't come equipped with a DisplayPort interface. 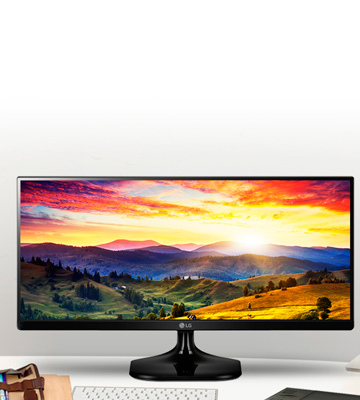 LG 25UM58-P presents you with an opportunity to enjoy an ultrawide visual experience on a strict budget. 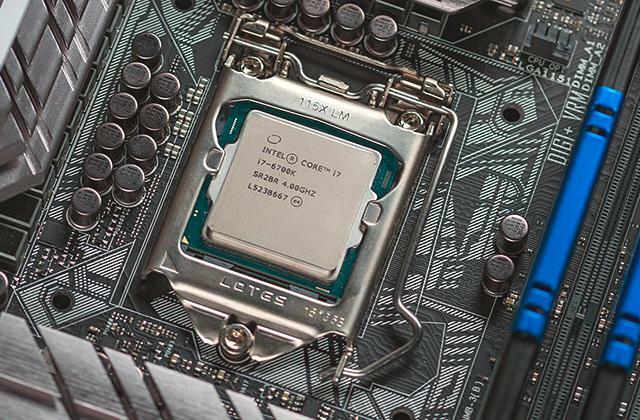 Though its specs are nothing to write home about, the model's performance stacks up very well against its competition within the same price range and it is about as good for work as it is for general entertainment purposes. Having said all of that, no computer monitor would deserve the title of a truly versatile model without catering to the gaming demographic. 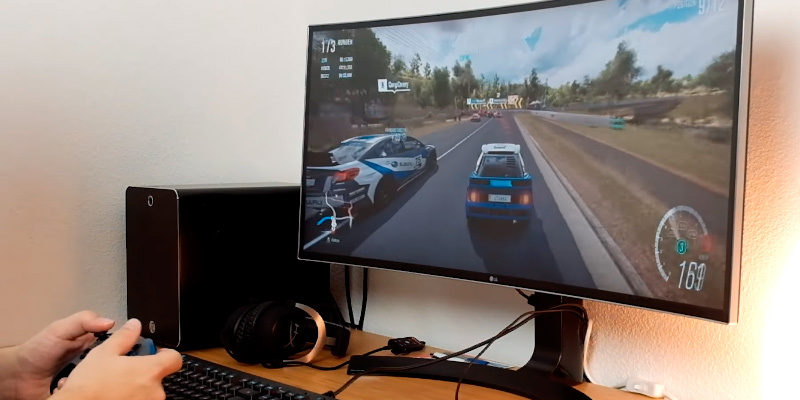 And while we wouldn't be able to say in good faith that this extra wide monitor is one of the best gaming monitors out there, mostly due to the fact that this LG ultrawide monitor features a relatively slow response time of 5 ms and a 60 Hz refresh rate, something that won't bother the fans of single-player games but might alienate the multiplayer crowd, this is still a fairly great gaming option for a couple of reasons. 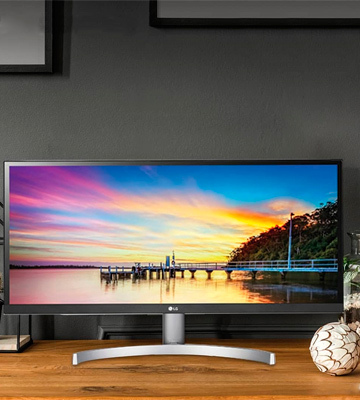 In short, the LG 34UC80 is one of the most versatile ultrawide monitors out there. Whether you're looking for a model to improve the efficiency of your work, to enjoy a good movie, or to amplify your gaming experience, the product in question with its wide format will not disappoint you, to say the least. 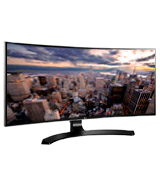 Samsung SJ55W puts the "wide" into the "ultrawide monitor". 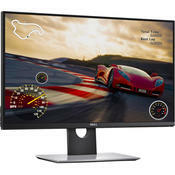 With a 34-inch panel that boasts a 3440 x 1440 native resolution, this is a beast of a monitor that has very little limitations in terms of what it allows you to do. First off, with so much screen real estate, you'll be able to take your multitasking game to the next level. 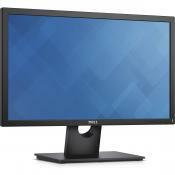 The monitor will allow you to effortlessly and conveniently run and display multiple applications at the same time. Provided you have a knack for multitasking, the model will enable you to increase your productivity and streamline your interactions with different programs at the same time. You'll be able to spend less time scrolling and zooming out and more time viewing web pages, documents, and different apps. Of course, that is all about the size of the panel and has very little to do with the model's native resolution. The resolution is a different story. With it, you'll have the opportunity to enjoy razor-sharp images, with a level of detail and clarity that only ultra HD 4K panels would be able to top. 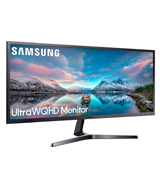 The monitor's precise image expression and subtle imagery will allow you to see your favorite movies and games in a whole new light. A huge panel like that is a huge plus in and of itself. But it wouldn't be worth much without the performance to match. The good news is that the model delivers on the performance front about as much as it does on the resolution and display size ones. A good place to start would be the Picture-by-Picture (PBP) function that displays input from two sources side-by-side at their native resolution. 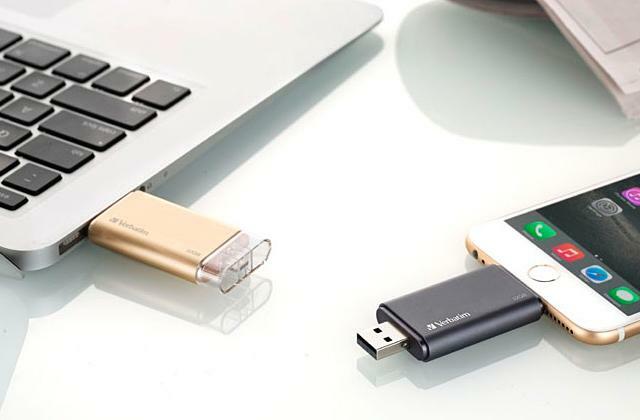 With it, multitasking becomes an even easier task. It allows you to resize the second source to up to 25% of the screen. After that, you can position that source anywhere you want, the screen is your oyster. We can't say that this is necessarily an excellent gaming monitor but we wouldn't make the opposite claim either. 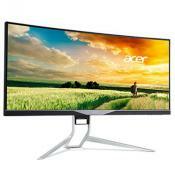 Sure, the model's 4ms response time and 75 Hz refresh rate aren't really something to write home about. 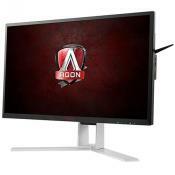 But, considering its AMD FreeSync support, the device will prove a great display for people with AMD graphics cards. Synchronizing the refresh rate of your GPU and monitor, the aforementioned technology works wonders reducing image tear and stutter. 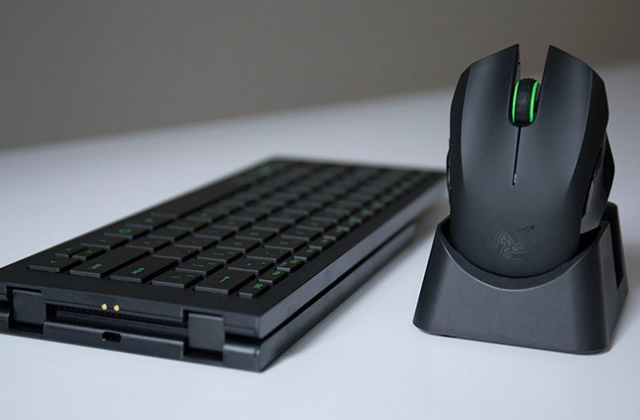 On top of that, the model comes with a Low Input Lag Mode that is able to minimize the delay between mouse, keyboard, or joystick input and onscreen response. 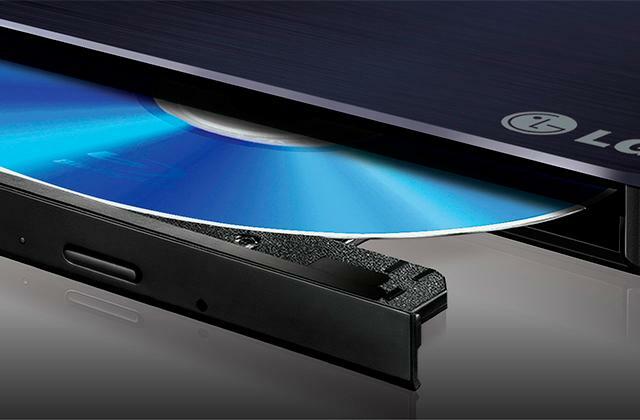 With it, you can enjoy a seamlessly smooth gaming experience. 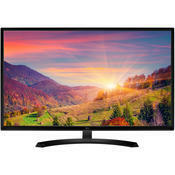 Bottom line, Samsung SJ55W is perfect for work. 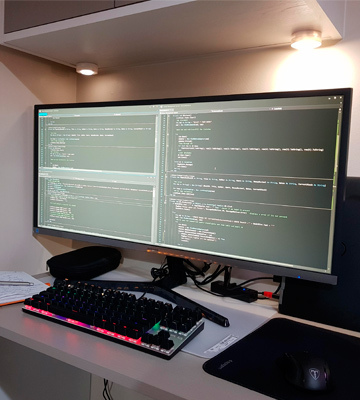 With this ultrawide monitor, software developers, business analytics, and so many people that work different professions will be able to increase their productivity. That being said, this is by no means a bad model from an entertainment perspective either. 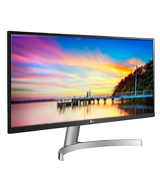 More often than not, we like LG monitors and there is a lot to like about LG 29WK600-W. The people familiar with their monitors won't find too much out of the ordinary here but, considering the modest price tag that the model comes with, half of its features are a pleasant surprise. For example, a budget monitor that supports the HDR10 high dynamic range is hard to come by. 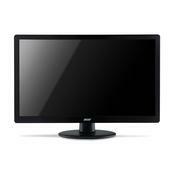 Supporting specific levels of color and brightness, the screen is able to display a much more vivid and rich image. With this technology, the colors look vibrant and authentic and that, in turn, enables a higher level of immersion. Add to that the model's >99% coverage of the sRGB spectrum and what we have here is an excellent device for professional photographers, graphic designers, or anyone whose job requires highly accurate colors. 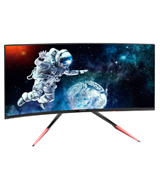 Furthermore, what we're dealing with here is an IPS panel, which is again impressive considering how rare it is to find an ultrawide 29-inch IPS screen within this price range. With a panel like that, you receive the usual IPS advantages, including but not limited to better color reproduction, viewing angles, and higher contrast ratio with superior blacks. 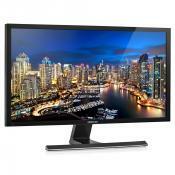 A monitor like that is equally suitable for work and entertainment. Now, let's talk gaming. 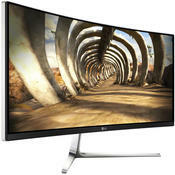 On paper, the model's specs do not seem particularly impressive from a gaming standpoint. However, its features tell a different story. 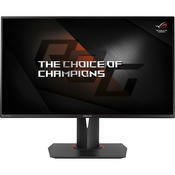 To start off, this is a FreeSync monitor, meaning that the AMD crowd will be able to experience seamless, fluid movement throughout high-res, fast-paced games. The technology practically eliminates screen tearing and stuttering, allowing you to enjoy a much smoother picture and giving you a solid competitive advantage over your online opponents. Apart from that, there's the company's trademark Black Stabilizer feature. With it, you'll be able to reveal superior detail in darker scenes, another technology that lets you better enjoy different gameplays across the board and better compete in shooters. On top of that, let's not forget about the Dynamic Action Sync feature that always does an excellent job assuring smooth and fluid gaming action. 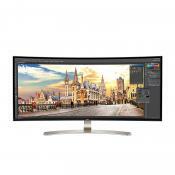 With LG monitors, the On-Screen Control panel is a given too. It allows you to adjust volume, brightness, picture mode presets, the company's Screen Split 2.0 and Dual Controller features with but a few clicks, a much more preferred option to the usual hard buttons on the monitor. To sum it all up, LG 29WK600-W is an ultrawide monitor with a budget price tag and mid-range features/performance. It will enable you to enjoy excellent, true-to-life colors. The model's ultra-thin bezel makes for a sleek, streamlined profile. Plus, the built-in 5W speakers are surprisingly good. 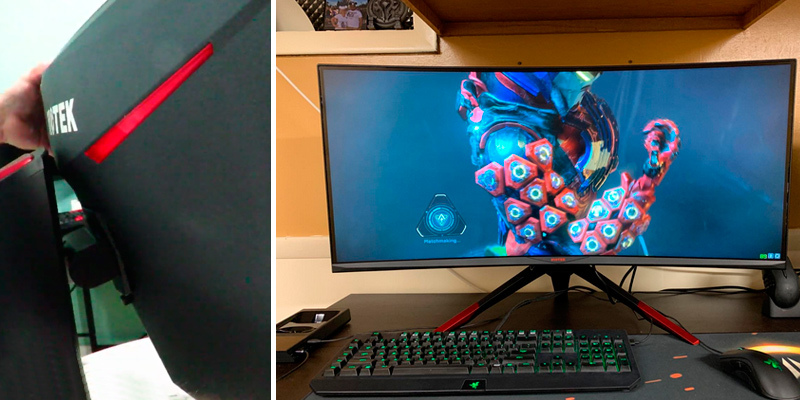 A quality ultrawide monitor and competitive, high-level gaming go about as well together as a horse and a carriage. A subpar screen can make your chances of success disappear about as much as a quality display can make them skyrocket. Fortunately, we're here to discuss the latter and not the former. 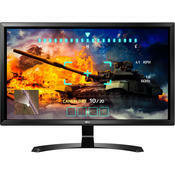 What makes Viotek GN35DR such an excellent gaming monitor first and foremost is its 144Hz refresh rate. 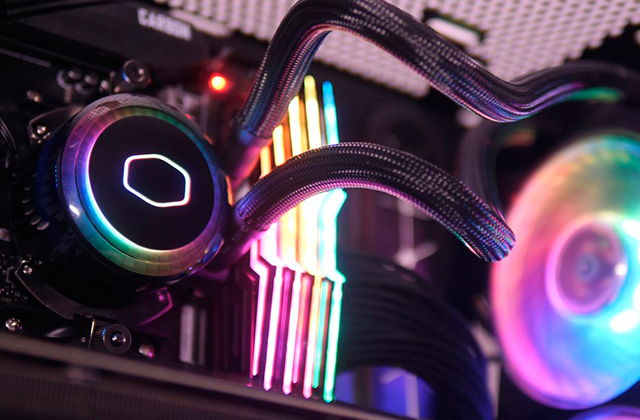 With a refresh like that, you'll be getting more than twice as many images per second compared to your average 60-75Hz monitor. It will give you a ridiculous competitive advantage in FPS games and a solid upper-hand in MOBAs, other shooters, real-time strategies, and so many other genres. 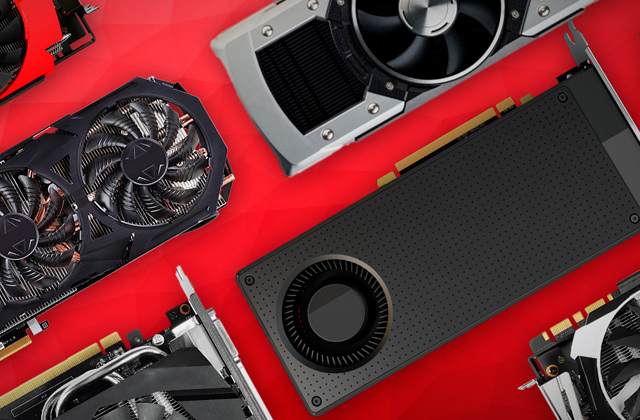 Provided you have a graphics card able to deliver around 144 frames per second in your favorite game, you'll be able to enjoy the smoothest, most fluid gaming action. 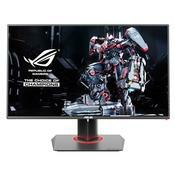 Last but not least, this is a FreeSync monitor, meaning that it will enable AMD users to play without pixel distortion, motion jitter, or image artifact. No more will you have to deal with dropped frames or choppy visuals. 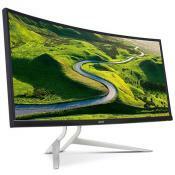 But being able to deliver buttery smooth action scenes isn't the only thing that this PC monitor has going for it. 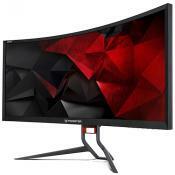 First and foremost, what we're talking about here is a 35-inch, 2560 x 1080p curved panel. Thanks to the size of the panel and its curved nature, the device will not fail to provide you with a particularly intense visual experience. No matter how much you love your favorite games, they can drive you insane from time to time too. It is good to vent and let that rage out but people often take it out on their monitor and/or peripherals. Well, with this particular monitor, that won't be an issue. 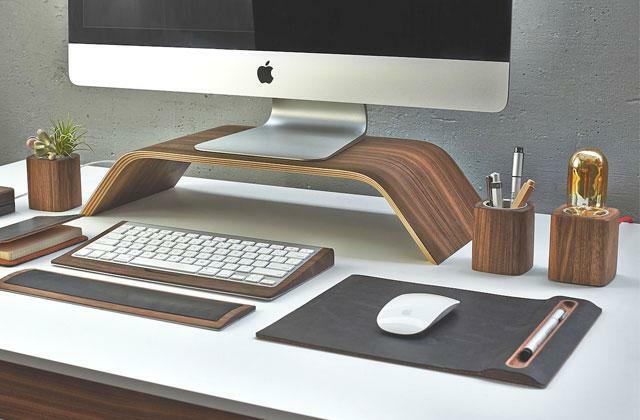 It is built like a tank, with one of the most rugged and stable built-in monitor stands you'll ever find. 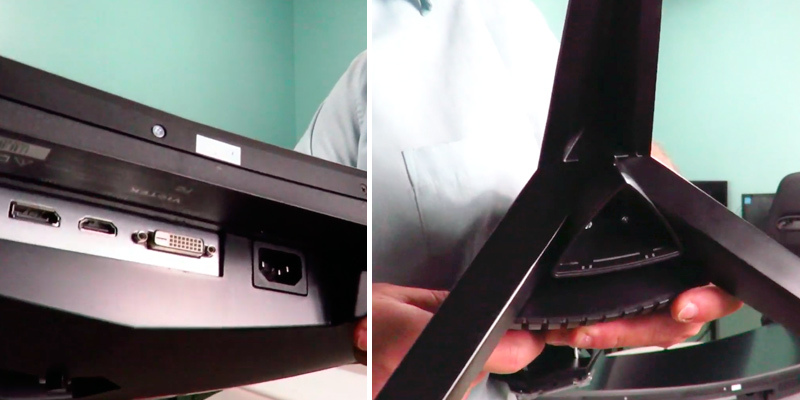 With back-weighted springs and heavy-duty build, the screen won't move unless you want it to move. You can shake the desk, bang on the table, do your absolute worst and the monitor won't care in the slightest. 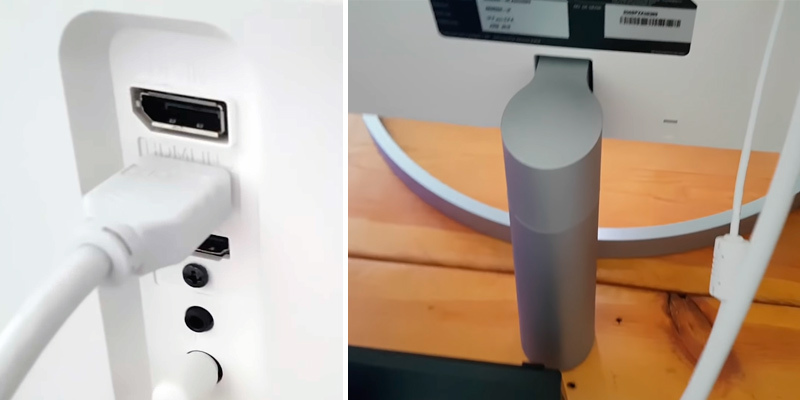 Nevertheless, it is angle- and height-adjustable, just that you won't be able to accidentally adjust it. 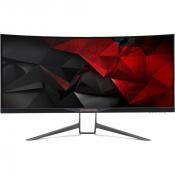 Other than that, this ultrawide gaming monitor doesn't necessarily present anything we haven't seen before. The GamePlus crosshairs might allow you to improve your aim. The anti-glare panel does a bang-up job reducing light reflection on the display without washing out the colors. Last but not least, the Low Blue Light mode will let you keep eye fatigue at bay, filtering out the harmful blue lights. All things considered, Viotek GN35DR is a beast with excellent specs and great value. 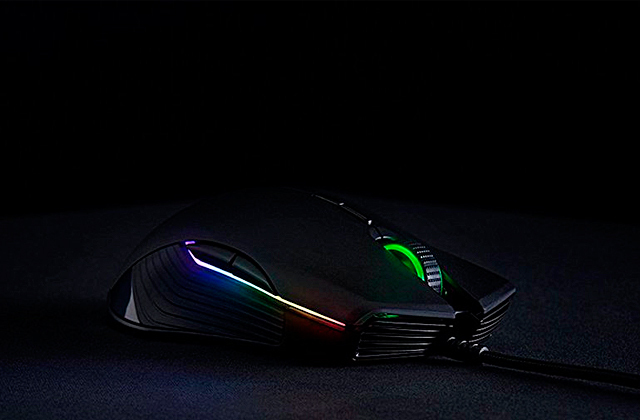 With it, you will be able to downright dominate your opponents online and/or enjoy your favorite games in a new, much better light. The model delivers the most intense visual experience on the widest screen and lets you immerse yourself in the gameplay without any distractions. 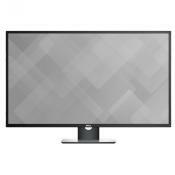 LG 25UM58-P is the most basic monitor on this list. Of course, the price tag reflects that as well. 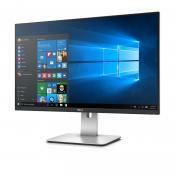 Since it costs considerably less than every other monitor here, you can't really expect the model to have high-end specs. 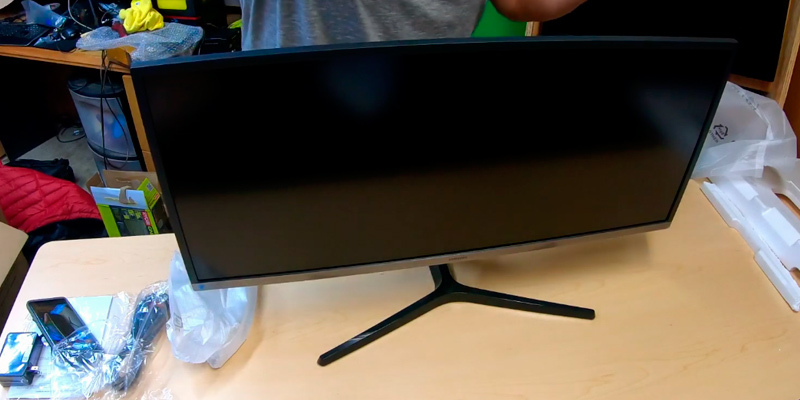 That being said, this is still an LG monitor and even their most basic ultrawide displays are nothing to scoff at. But let's start with the specs first. On paper, they aren't that great. 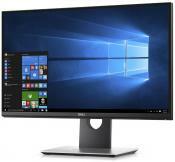 An ultrawide 2560 x 1080 native resolution is generally a good thing but, packed into a 25-inch panel, we can't say that we necessarily agree with the decision. On a relatively small screen like that, you simply won't be able to tell the entire difference between this resolution and its usual full HD counterpart. Sure, the details are still there, as sharp and crisp as ever but they're harder to notice on a smaller panel. On the bright side, the model's 5ms response time is pretty good for a budget monitor. There won't be much of a delay between your GPU rendering images and your screen displaying them back to you. 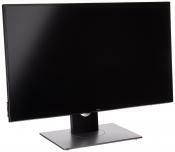 Another little detail that the monitor has going for it is that it is an IPS panel. That means that the contrast will be high, the blacks will be great, the overall color reproduction will unlikely disappoint, and the viewing angles will be nothing to complain about. With that out of the way, let's pivot a little and examine the model's most prominent features a little closer. 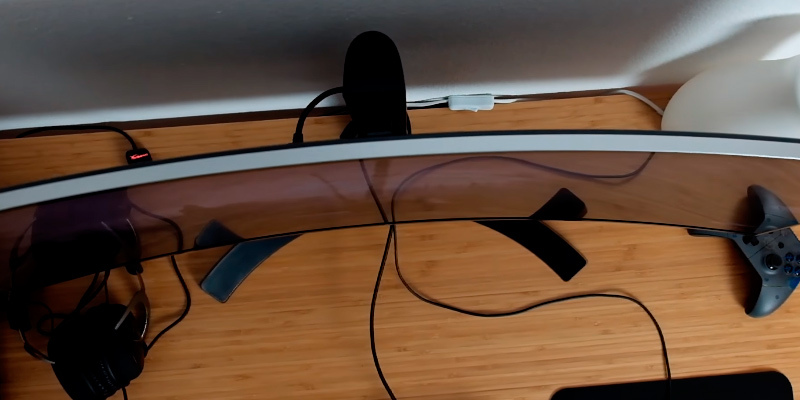 Given that this is an LG monitor, let's start with the Split Screen 2.0. Using this tool, you will be able to resize and display multiple windows at a time with 14 different options including four just as different picture-in-picture (PIP) choices. After that, we could mention the monitor's 3 gaming modes, including 2 designed for first-person shooters and a nice little preset for real-time strategies. It's nothing we haven't seen before in LG monitors but the Dynamic Action Sync and Black Stabilizer features are there as well, which is a good thing. Using the latter, you will be able to spot enemies in darker locations, while the former will allow you to enjoy smooth, fluid action. 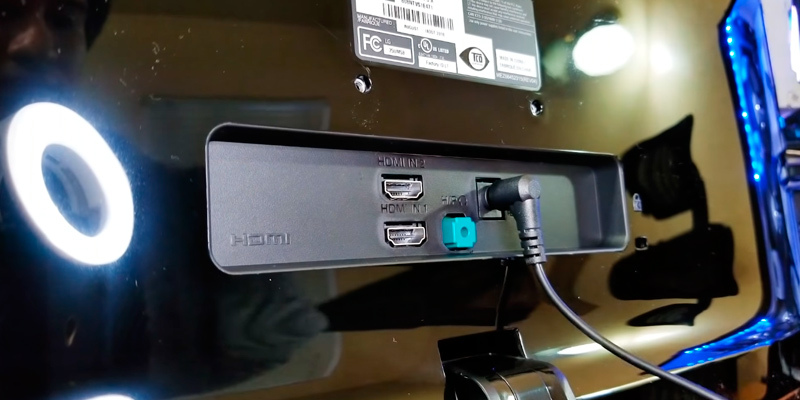 Again, this is a barebones monitor, so there aren't any speakers on board and it doesn't have a DisplayPort interface, a shame but understandable considering the price tag. Taking it all into account, LG 25UM58-P presents you with an opportunity to enjoy an ultrawide visual experience on a strict budget. Though its specs are nothing to write home about, the model's performance stacks up very well against its competition within the same price range and it is about as good for work as it is for general entertainment purposes. 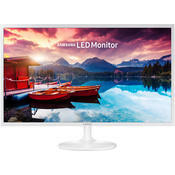 With so many different types of monitors out there, nobody would be able to blame an average user if he got confused with what is it exactly that he ought to be looking for. Having said that, if we're talking about ultrawide monitors, the choice isn't quite as hard as you might think. 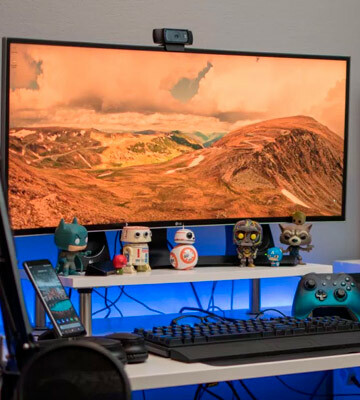 As the name suggests, an ultrawide monitor is simply a monitor that is wider than your average display, featuring a 21:9 aspect ratio that was specifically designed in order to simulate the traditional movie theater experience. 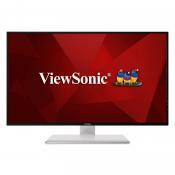 So, if you're the sort of movie aficionado that doesn't like to go out every time you'd like to experience a great flick on a big screen, there's no downside to having a widescreen monitor. Plus, if you're looking to improve your working experience, the additional screen space you will get on each side of the display will be able to do just that. 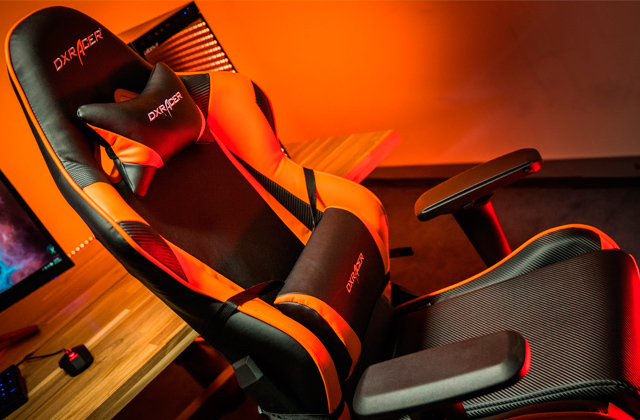 And if you're more of a gamer, all of that horizontal working space will certainly require some time to get used to, but will ultimately provide you with a much better gaming experience as well. It may not necessarily improve your performance in every single game out there but the quality of the picture alone may very well be worth the price. 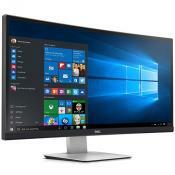 As you would imagine, a widescreen monitor isn't all that conceptually different from your regular monitor, so the first thing you ought to keep in mind when looking for one is the size of the display. 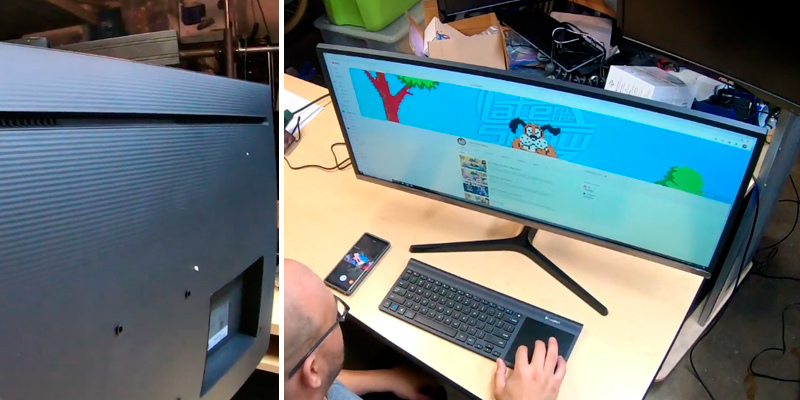 As it is with most monitors out there, there's little to no downside in going for the biggest possible display you can find, except for the fact that they tend to cost more than their smaller counterparts. 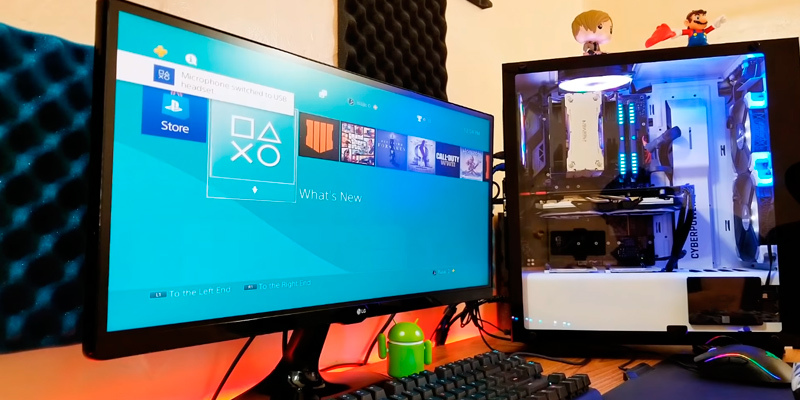 Aside from that, it might take you some time to get used to a bigger screen in your favorite video game, given that now you'd be dealing with so much more horizontal working space. Though, once you get used to it, you'll be able to exploit the advantage of having a wider field-of-view compared to your 16:9 opponents. Not dissimilar to the refresh rate, the optimal type of matrix depends on your preferred choice of application. If you're more of a movie guy, then the In-Plane Switching is what you should be looking for since this type of panel ensures higher contrast ratio and high color accuracy. 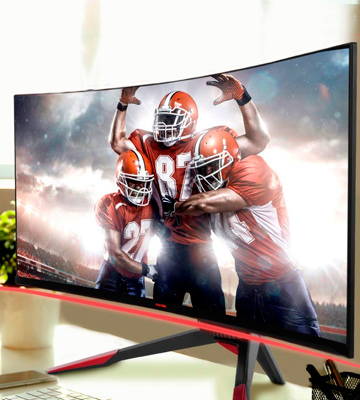 However, the majority of IPS panels out there tend to trail behind other types of matrices in terms of refresh rate and response time, which is why you might want to look for a different panel if you prefer an intense gaming session to a relaxing movie night. 4. Chris Stobing All About Ultrawide Monitors, the Latest Trend in Gaming and Productivity, HowToGeek. March 23, 2016.